Are you a foodie? Do you believe that fine dining is an art form? Are some of your most treasured memories of being in a certain place at a certain time with your favorite people having that special meal? Well, I would answer a resounding yes to all three questions, and here I share with you some of my most memorable dining experiences eating my way through cities abroad and my own backyard of Philadelphia. 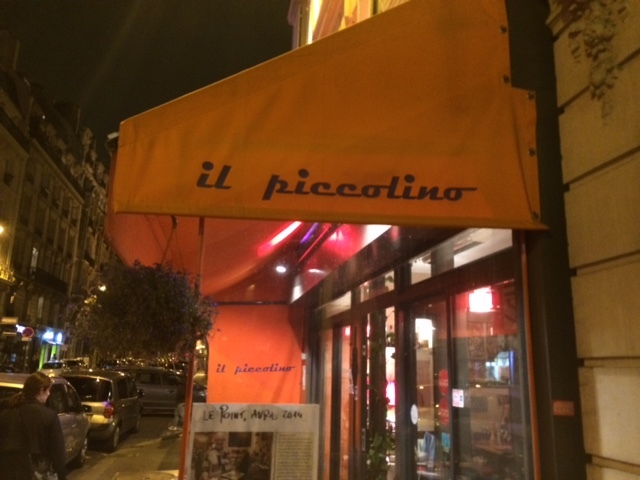 Il Piccolino – Paris, France (8th arrondissment). 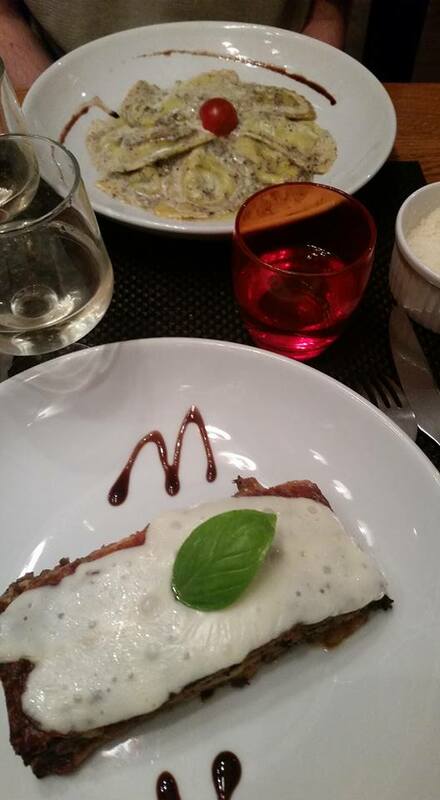 Ah, Paris, it truly is a movable feast. But who knew, on our last night in the city (in September of 2015) the month before our wedding (we honeymooned before, because that’s how we roll), desperate for something other than the overload of French food we had been eating, and upon the recommendation from the concierge at our hotel (who secured a last minute reservation), we would stumble into the best Italian restaurant we ever experienced? There were probably about ten tables inside (all reserved) and a kitchen in full view (that looked like a kitchen in somebody’s house). From the little old man who provided colorful service, to the fresh veggies they walked across the street to the market to procure as you ordered them, to the hand-made sage ravioli with truffle oil drizzle, to the cutesy-translated deserts “in their honey shirts” – this was quite possibly the best dining experience of our lives. 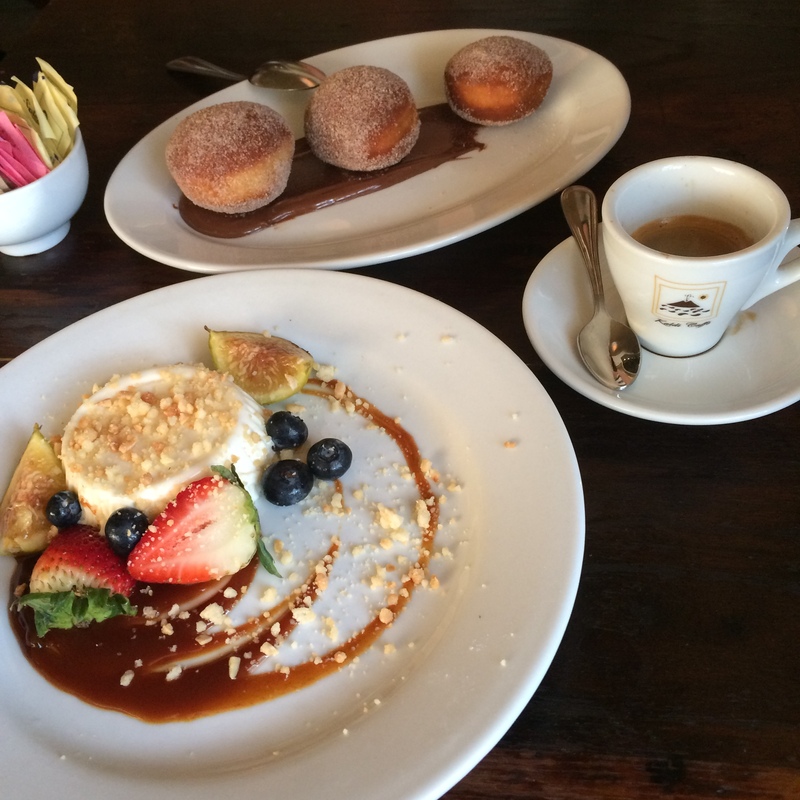 Zeppoli’s – Collingswood, New Jersey, USA. Less than a mile from our new house is this gem of “a hole in the wall” we indulged in just last week after a multitude of rave reviews from friends and coworkers. There’s maybe a dozen tables inside. Reservations must be made weeks in advance. Upon entering it’s all a bit gentrified-rustic-hipster-is-this-a-dump-or-is-this-chic and unassuming. But WOW! 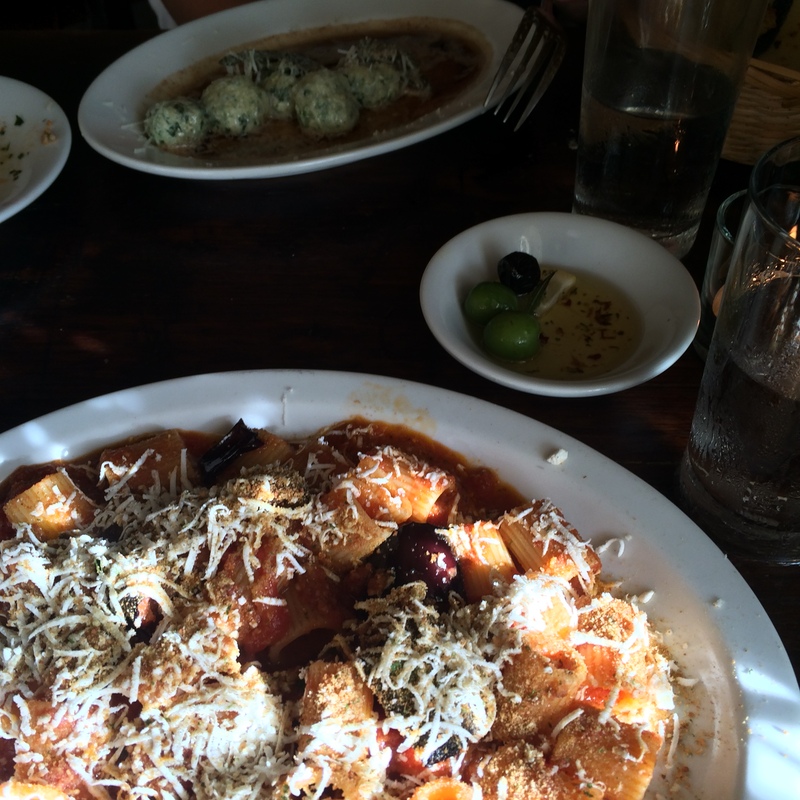 The food (which is Sicilian and far removed from the typical Italian fare you find In NJ-PA-NY) was out of this world and full of flavors my taste buds didn’t know existed. The service was both casual and spot-on where the highly competent wait staff tag-teams the tables and walks around as if they are serving family at their house – never missing a beat or a half-filled water-glass. The chef offers up complimentary after dinner drinks (while the place is otherwise BYOB). Trattoria Toto da Lucia – Amsterdam, Netherlands (near Vondel Park). Was the food here really that good? I don’t know. It was my last night in the city (in October of 2013), this was right around the corner from my friend’s flat off the Overtoom. The atmosphere was comforting. The wine was flowing. The conversation was bountiful. The food was fresh and made from scratch. I think I had a risotto? It’s a place where I’ll never forget the feeling…of being happy where I was in life at that moment…wrapping up my first trip to Europe, sharing my experiences and my hopes for a travel-filled future with a good friend, and feeling like the world was now my oyster. Amada – on the 200 block of Chestnut St, Old City – Amada has been part of my life for so long I can’t remember being without her. She’s my restaurant wife. This was chef Jose Garces’ first restaurant in Philly. And arguable it’s still his best. My first visit here was many moons ago with work friends. We had to plan months in advance as at the time reservations were IMPOSSIBLE to get (and you still need to plan ahead here). We sat at a picnic table atop a rock garden overlooking the street, ordered drinks named after Pedro Almodovar films, and many many many Spanish tapas. We fell in love the ham croquettes and the madre y hijo (which I still joke would be my death row “last meal”). I drank some port for the first time after dinner. This place never gets old. And it’s never not amazing. Tinto – on 2oth street in Center City – When my wife and I first went to Tinto (the sister restaurant of Amada) last year, it felt like I was cheating on Amada. But damn, in some ways Tinto might even be better. You just can’t go wrong here…and the albondigas! DAMN, I never knew I could love a meatball! They have pretty snazzy tables and deserts too. 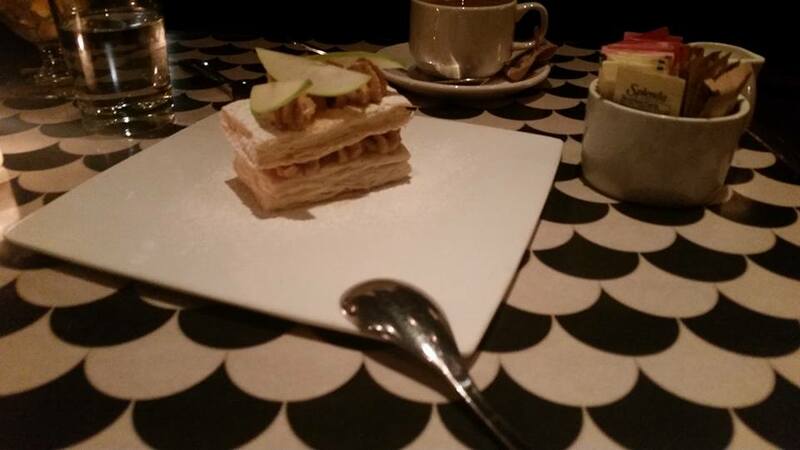 Parc – Rittenhouse Square – This Steven Starr staple serves up the best French cuisine in the city and everything about it (location, service, atmosphere, food) is just lovely. 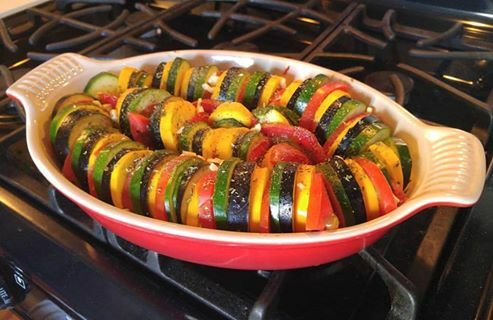 It’s also where my wife said, upon dining on ratatouille, “I bet I can make that!” Thank you Mr. Starr for inspiring my wife to discover what is now her signature dish (picture below is my wife’s version). Zorba’s Tavern – on Fairmount across from Eastern State Penitentiary – This old stand-by still serves up the best Greek food in one of our favorite neighborhoods in the city. I’ve been recommending it to others for over a decade. The quaint used book store, Book Haven, a few doors down is a nice place to stop and explore before or after. The Best Damn Fried Chicken…in the world! Fiorella’s Cafe – New Orleans, Louisiana, USA – In the French Quarter just beyond the 9th ring of Dante’s Hell on Decatur Street in a shabby establishment that looks like an episode of Bar Rescue waiting to happen where friendly but flighty (and possibly drunk and/or high) servers take your orders while a no-nonsense chef comes out of the kitchen to raise hell about what’s going on out front (because he’s back there creating art, man! ), you’ll find…hands down…the best fried chicken…the best fried pickles…the best mashed potatoes and gravy (served in a plastic to-go container)…YOU WILL EVER EAT IN YOUR LIFE! Our trip to New Orleans this past January was a wild and crazy one of highs and lows…but the memory of this particular food in this particular place at that particular moment in this particular time in our lives as newlyweds on an adventure in a crazy city…will be forever fondly recalled. Where have your most memorable dining experiences been? This entry was posted in Art, Dining Out, Inspiration, Photography, Travel and tagged Amada, Amsterdam, Collingswood, Fiorella's Cafe, Foodies, French Food, Fried Chicken, Great Restaurants, Greek Food, Il Piccolino, Italian Food, Jose Garces, New Orleans, Parc, Paris, Philadelphia, Spanish Food, Steven Starr, Tinto, Trattoria Toto da Lucia, Zeppoli's, Zorba's Tavern.